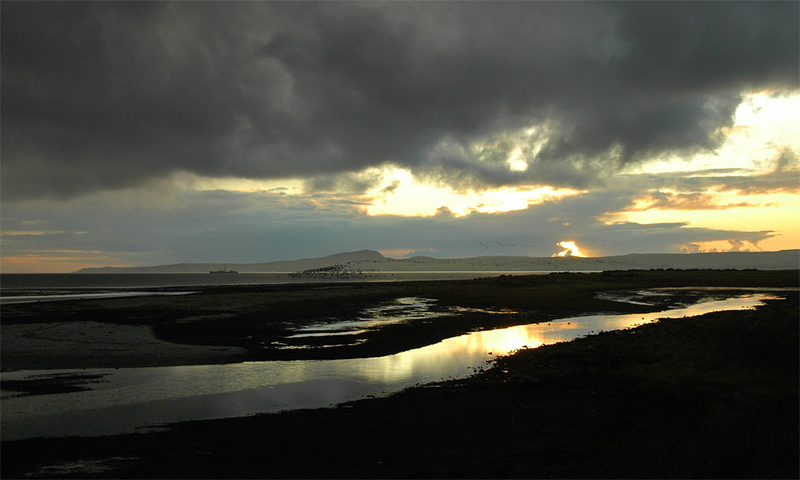 A dramatic Islay evening view from near the top of Loch Indaal. The approaching sunset illuminates the clouds. A ship anchored on the loch. A flock of Barnacle Geese is arriving for the evening roost. This entry was posted in Beaches, Cloudy Weather, Landscape, Repost, Sea Loch, Sunset, Wildlife and tagged Barnacle Geese, Beinn Tart a'Mhill, Islay, Loch Indaal by Armin Grewe. Bookmark the permalink.